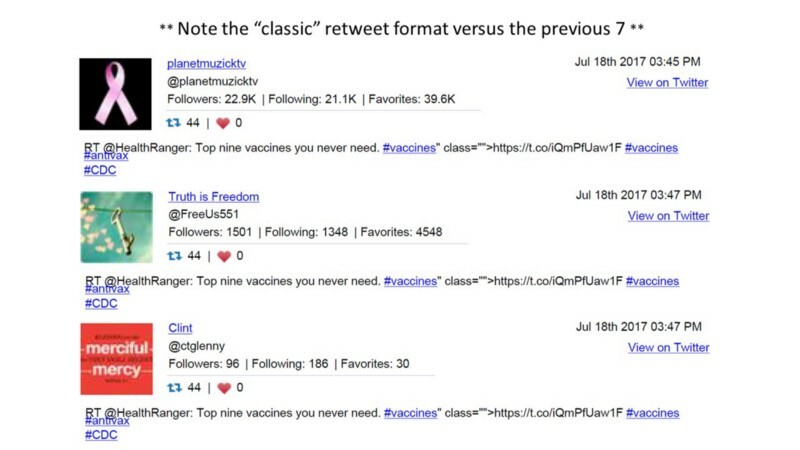 @HealthRanger’s always present in the #antivax conversation. These snapshots are representative of what we noted everyday for a month (July 12 to August 11, 2017). 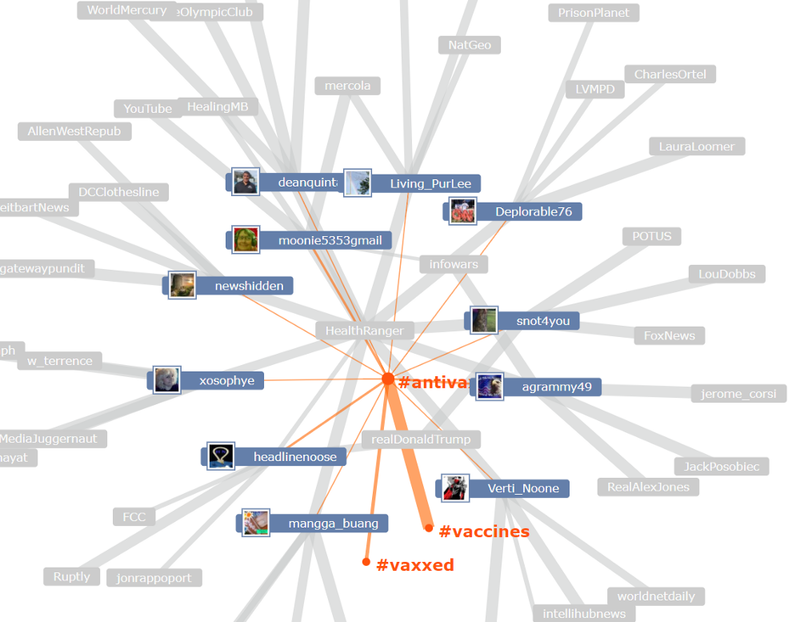 We previously reported how noisy SocialBots are in connection with the hashtag #Vaccine. 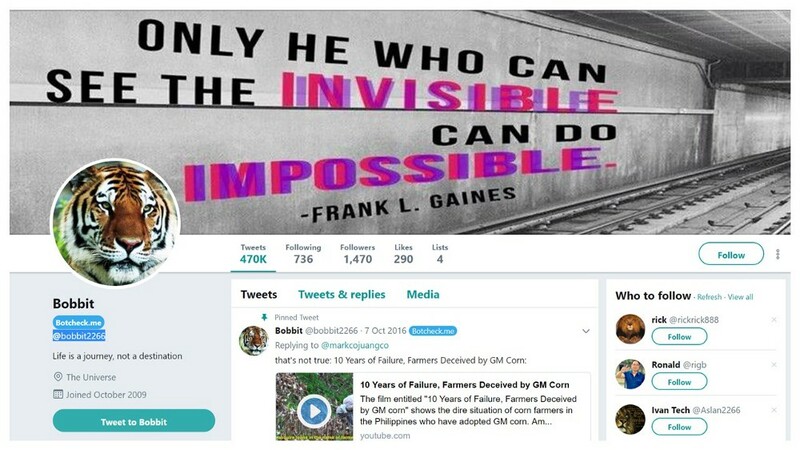 Rather than shining the spotlight on the number, the variety and voracious activity of the#antivax bots we uncovered, it’s a group we’re calling the un-Magnificent 7 that warrant special attention. Scrolling through this tweet stream it was spotting the “twins” Ronald and Ivan, that forced us to pause. Then it was the numbers 2266 (or the slight variations), and the fondness for the names Ivan and Robert (or variation — Bobbit). The un-Magnificent 7 seemed too connected, too patterned, and too programmatic not to look at further. The three Ivan’s, Ronald, and Robert Garcia all have the identical pinned tweet. While Robert and Bobbit have the same pinned tweet. The “who to follow” for each profile is an interesting algorithmic cross-pollination of Bots too. To ensure the behavior of the un-Magnificent 7 isn’t an anomaly, we jumped ahead to October and found the same-old, same-old. Not that Bots have feelings, and we do not intend to give Bobbit a complex, but we forget to include him in our October scan. 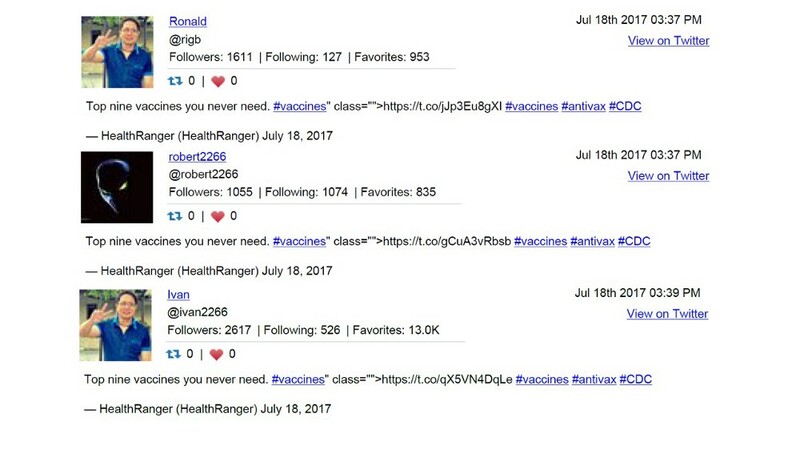 We corrected the error of our ways, and have all seven Bots riding the @HealthRanger pseudo-science bandwagon in November. 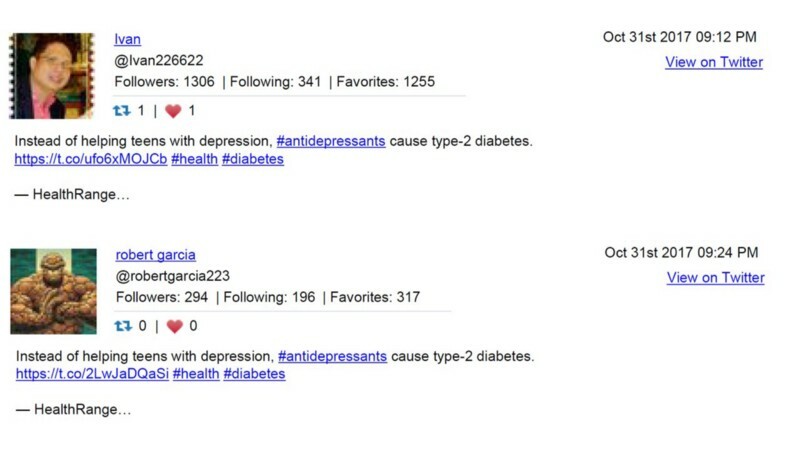 These are not random or coincidental moments of social sharing. This is a coordinated, patterned, and programmatic effort to spread dangerous misinformation. We can’t answer questions like who’s operating HealthRanger’s un-Magnificent 7 gang, or why and to what ends? Trying to answer these kinds of important questions amounts to pure speculation on our part. 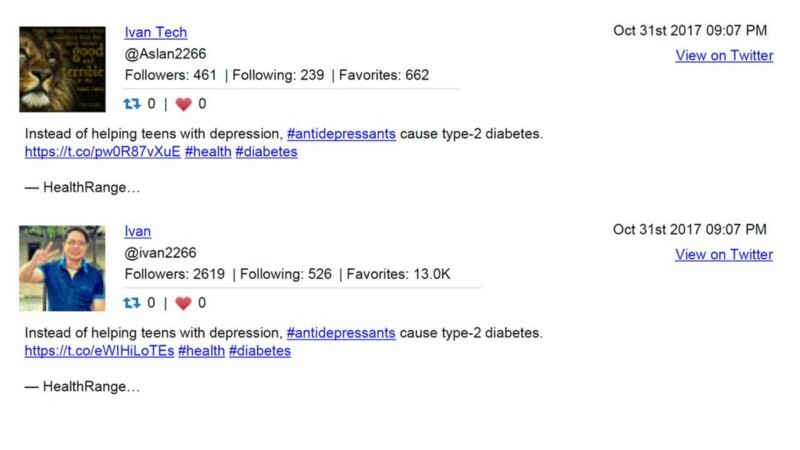 Seeing patterns of programmatic behavior like this, give us a potential to start finding those answers. At the very least, maybe we can get bandits like these on the run.